Over the past several months, numerous media reports have acknowledged the fact that Oklahoma earthquakes have been significantly declining for two years now and that mitigation efforts are proving effective. So it was interesting to see that Newsweek went ahead and published yet another alarmist — and factually incorrect — story on Oklahoma induced seismicity this week under the ominous headline “Oil and Gas Drilling Puts Oklahoma’s Survival at Risk by Causing Massive Earthquakes.” The article is just the latest example of Newsweek using click-bait headlines to mislead the public on fracking and oil and gas development (other examples here, here and here). To make matters worse, it was prompted by a much criticized study based on outdated data that claims the strength of Oklahoma’s earthquakes is increasing —even though the sheer number and magnitude of earthquakes has been decreasing since 2015. Here are the most egregious claims made in Newsweek’s story, followed by the facts. FACT: There have been no “massive” earthquakes in the Sooner State that have put “Oklahoma’s survival at risk,” period. The United States Geological Survey identifies magnitude 5.0 earthquakes as being strong enough to cause “slight” damage. Notably, there were no M-5.0 or greater earthquakes in Oklahoma in 2017. Furthermore, M-4.0 and greater earthquakes decreased 57 percent from 2016 to 2017. To be clear, we aren’t suggesting that earthquakes of this magnitude are not at a level of concern. But to hyperbolically characterize them as “massive” is recklessly misleading. FACT: The number of M-3.0 and higher earthquakes in Oklahoma decreased dramatically in both 2016 and 2017 in direct correlation with measures to reduce wastewater injection. As the following graphic shows, the number of “felt” Oklahoma quakes — those registering M-2.8 or greater — decreased 58 percent in 2017 from 2016 levels, according to an EID review of United States Geological Survey (USGS) data. 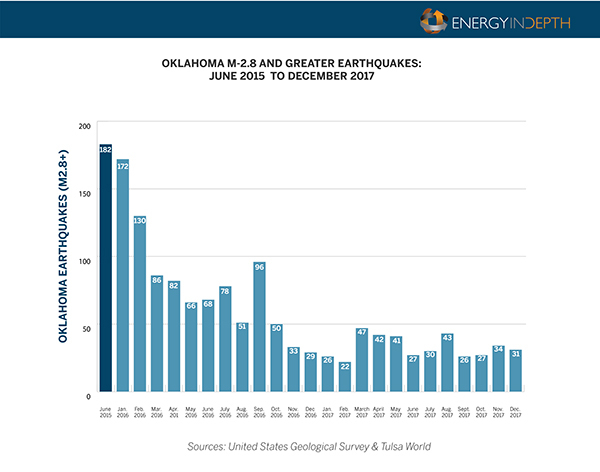 The monthly average number of M-2.8 and greater earthquakes in 2017 was also down 82 percent from the June 2015 peak, and felt earthquakes were down 71 percent in 2017 from levels seen in Oklahoma’s most seismically active year of 2015. To put it another way, the significant increase in brine production — and subsequent wastewater injection increases observed in Oklahoma in recent years —had more to do with oil prices being above $100 than fracking. 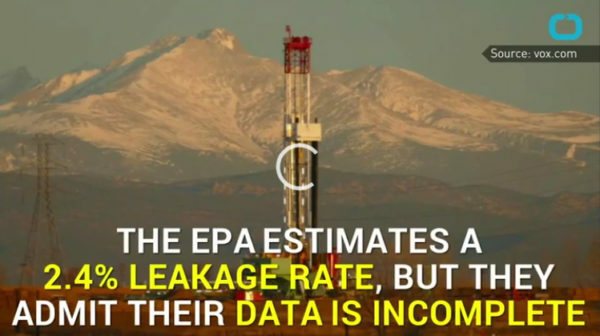 And because Oklahoma oil and gas wells typically have a high water-to-hydrocarbon ratio — as high as 10 to 15 barrels of wastewater for every barrel of oil produced, according to Boak — the state has long had higher produced water volumes than most oil and gas producing regions. And when oil prices spiked to more than $100 per barrel a few years ago, wells that produced a much higher ratio of brine than oil suddenly became economical, which led to an increase of produced water volumes. The most recent data from 2017 illustrates the fact that increased fracking does not necessarily correlate to an increase in brine disposal into wastewater wells, and subsequent injection-triggered seismic activity. Despite seeing rig counts jump 70 percent in 2017 and oil production increase 5 percent, Oklahoma saw seismic activity decrease sharply. To Boak’s point, these trends could have a lot to do with the fact that drilling activity was focused on the emerging SCOOP and STACK plays, which typically produce much less co-produced brine than many of the formations that were being developed earlier in the decade. SCOOP and STACK development really started to take off midway through 2017, contributing to an 11 percent increase in monthly oil production in September compared to the same month last year. At the same time, earthquake activity declined 76 percent. In other words — Sooner State earthquakes dramatically decreased in 2017 even as shale development increased significantly. This trend further dispels the common misconception that fracking is the cause of Oklahoma’s earthquakes, an inaccurate narrative that has been reinforced by a seemingly endless stream of headlines. 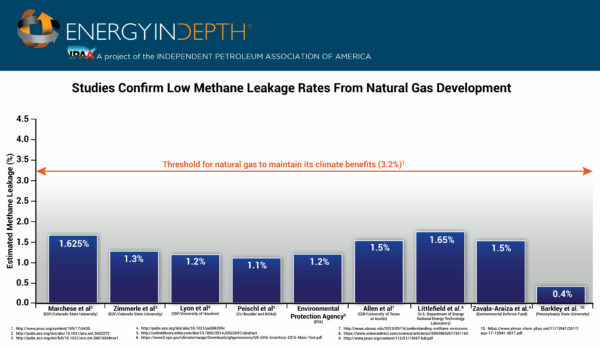 FACT: The most recent Environmental Protection Agency Greenhouse Gas Inventory shows that the current U.S. oil and natural gas system leakage rate is 1.2 percent — not 2.4 percent as Newsweek claims — which is well below the 3.2 percent threshold for natural gas to maintain its climate benefits. And in fact, multiple studies find that the EPA may be overestimating methane emissions, while numerous studies — including those conducted by the Environmental Defense Fund — show that methane leakage rates are well below the threshold for natural gas to provide climate benefits. The core issue with the Newsweek story is that its was prompted by a Virginia Institute of Technology study that is based on outdated information. The fact that OGS officials dismissed the study probably should have been a red flag for Newsweek, but it chose to play up its inaccurate findings in a clear effort to generate a click-bait headline. 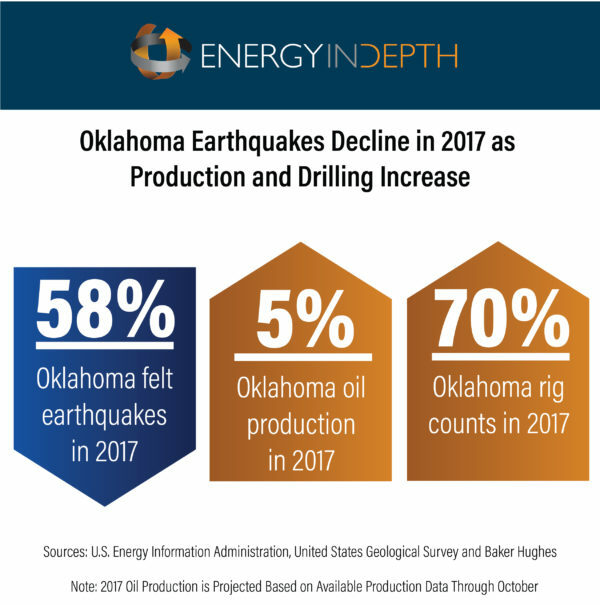 The fact that earthquakes have declined by more than 50 percent at the same time drilling activity has ramped up is by far the bigger story here, proving mitigation efforts to address Oklahoma’s induced seismicity issues are working. Note: Boak’s comments are his own and not official positions of the OGS or of the University of Oklahoma.